Tunde has always been involved with some form of exercise, keeping fit for good health - few types of dance (folk, Ballroom dance, contact dance ect. ), kungfu etc. 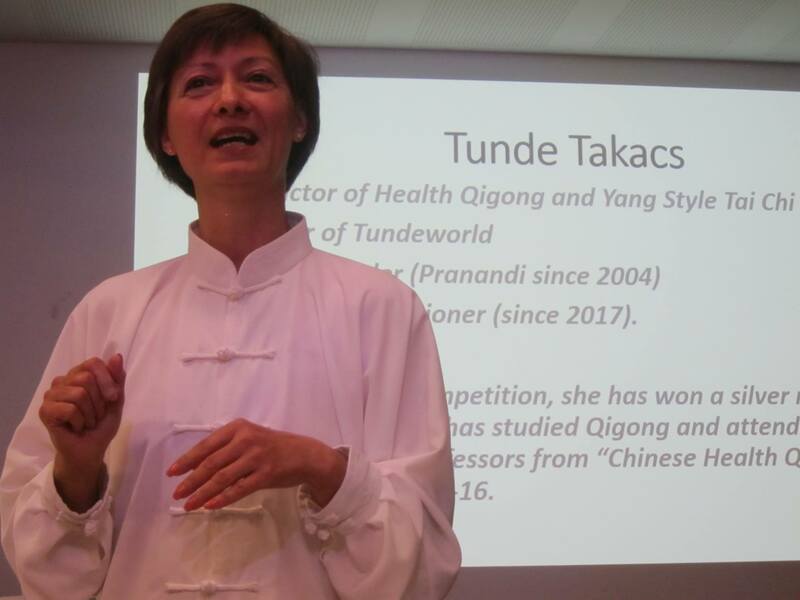 Now Tunde feels she has found her 'Life's Goal' as Tunde is an International qualified instructor of Health Qigong and Yang style Tai Chi, Master Pranic Healer of Pranandi, since 2004, Teacher Practitioners of Usui Reiki, and also Meditation Teacher. Tunde is fulfilling her goal, having become an Instructor, teaching affordable classes in her local Communities and in Sydney face to face or on on-line. Tunde Takacs came from Hungary. She is a Master practitioner of Prananadi (Tibetan Reiki ) since 2004 and became a Referred ARC (Australian Reiki Connection (ARC)) /AARP (Association of Australian Reiki Professionals (AARP)) Practitioners and Teachers Master of Usually Reiki. Her experience as a natural healing therapist comes from the following fields: Prananadi and Reiki. Tunde is a healing specialist has developed a broad choice of treatment options that bring optimal outcomes for patients with a wide variety of needs and various health concerns. She worked full-time in office and Tunde was feeling her body is in really bad condition. She had back-ache, had-ache and she was continue tired. She knew that the time is now! She has experienced an increase in her energy levels with have been practicing Tai chi and Qigong. She better able to focus and has noticed that her health has improved. Tunde just doesn't has as many colds and flu as other people and she seem to get better more quickly than she used to. Her back got back normal, and her stress level is moved down. 3rd Duan Wei, Health Qigong Duan Diplomas "in recognition of their qualifications required by the corresponding evaluation criteria". 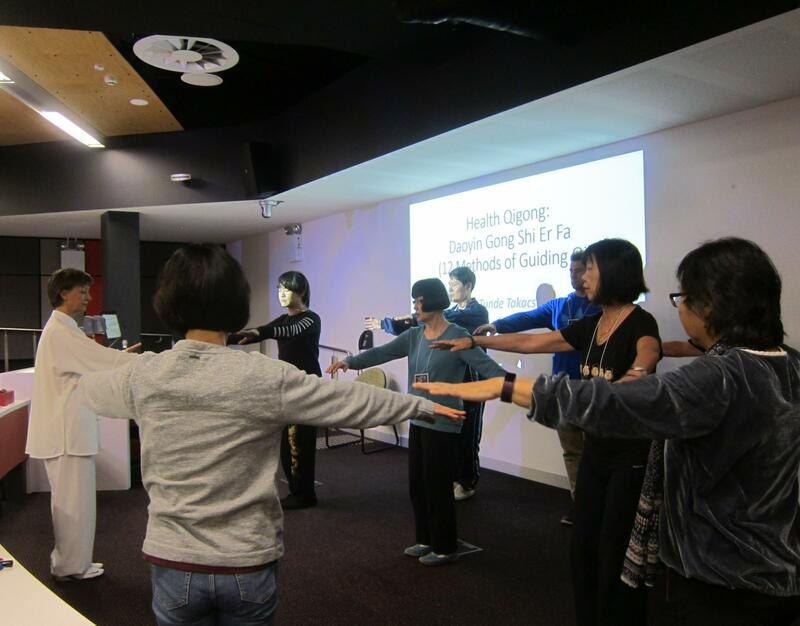 (Duan Wei, International Qualification System administered by by Chinese Health Qigong Association (CHQA) under the International Health Qigong Federation (IHQF) ). 2004 - Master Pranic Healer of Pranandi. 2016 - Tunde receiving a 'SILVER' medal for her Individual Tai Chi Fan at 2016 Oceania Kung Fu Wushu Championships on her first Tai chi competition. 2018 - Tunde had a training of Tai Ji Yang Sheng Zhang - Tai Chi Stick with Professor Liu XiaoLei and with Master Zhu Jing Yuan of the 'Chinese Health Qigong Association, organized by TCA in Melbourne. 2018 - Tunde had a training of Dao Yin Yang Sheng Gong Shi Er Fa 12-Step Daoyin Health Preservation Exercises (12 Step Yang Sheng Health Preservation Exercises)with Professor Liu XiaoLei and with Master Zhu Jing Yuan of the 'Chinese Health Qigong Association organized by TCA in Melbourne. 2018 - Tunde have been training Health Qigong Routines with Dr Larissa Koroleva. She has a broad knowledge and experience in Wushu coaching, competitions and administration. 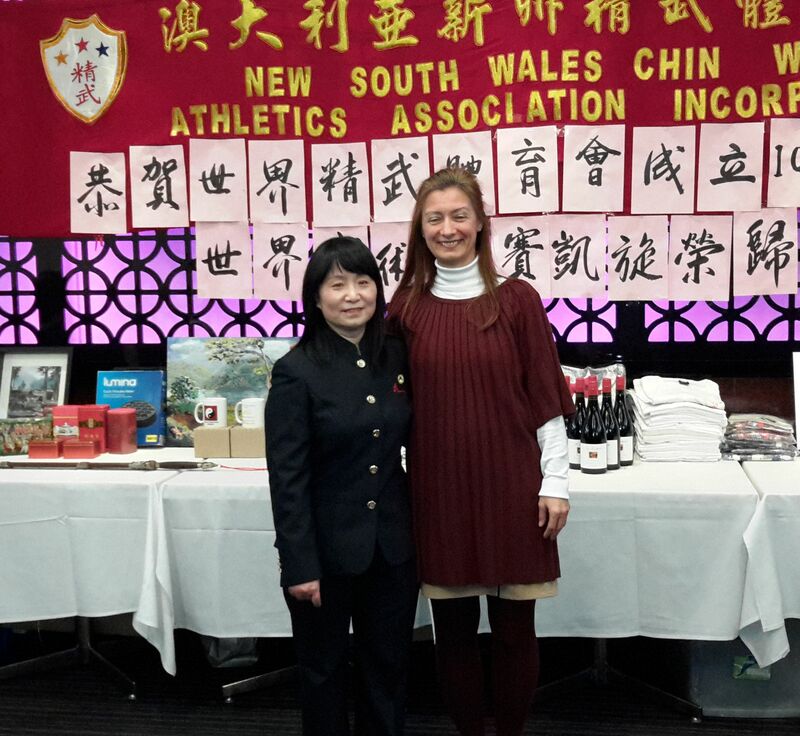 She was a member of the National Australian Team in various roles and served on the Traditional Wushu Committee of the International Wushu Federation. She also coached the NSW teams successfully performing in overseas competitions. 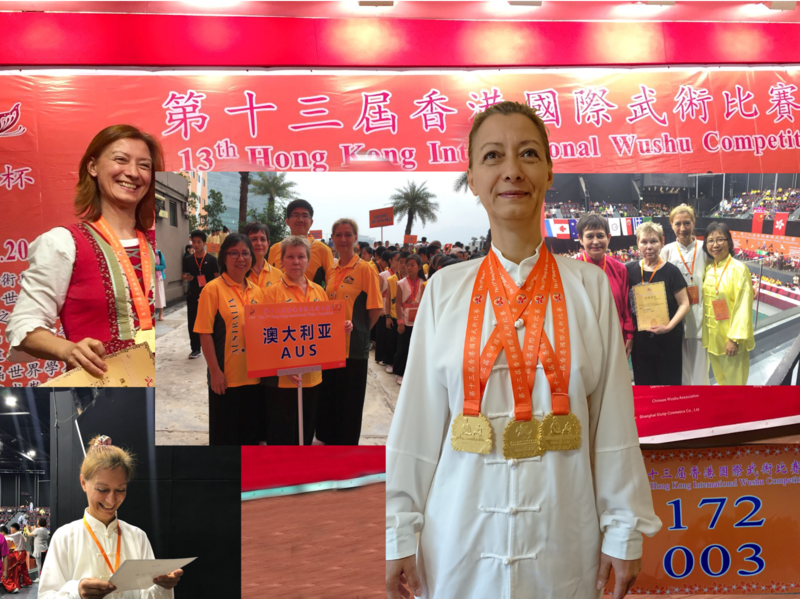 Dr Larissa devotes a lot of her time and efforts to promoting Wushu, Taijiquan and Qigong in Australia, and particularly in NSW. She is always available for help and advice. 2016 - Tunde had a training of Da Wu with with Professor Hua Hua of the'Chinese Health Qigong Association'. 2015 - Tunde have been training traditional Tai Chi with Master Alice Bei Dong is a 5th generation traditional Yang-style Tai Chi master - founder of the 'Pei Lei Wushu Association'. Master Alice was trained by Grand Master Fu Zhong. Wen - Fu was a senior student of Grand Master Yang Chengfu(1883-1936) - grandson of Yang Lu-chan (1799-1872 Yang style) - deciple of Chen Changxing (1771-1853) - descendant of Chen Wangting (1580-1660) - believed by family to be the founder of Chen style. Later by marriage, Grand Master Fu became a member of the Yang family and 4th generation successor of Yang Style Tai Chi Chuan. Grand Master Fu, in turn, conferred upon Sifu Alice Bei Dong, the title of 'Yang Style Tai Chi Chuan Generational Teacher'. Master Alice Bei Dong also holds the highest grade 7th duan yang Taiji. Master Zhao awarded it to her December 2014. She has a 8th duan in wushu. 2014 - Tunde became a Tai Chi / Qigong Student of 'Group Exercise Professional Instructors Course' with the Tai Chi Fitness Australia School, credited by TCFAA (Tai Chi Fitness of Australia Association); CMASA (Chinese Medicine Acupuncture Society of Australia); IYTCCA (International Yang style Tai Chi in China Association), CHQA(Chinese Health Qigong Association). 2013 - Tunde had a training of Yi Jin Jing with Professor Wei Kongtheof the 'Chinese Health Qigong Association'. 2012 - Tunde had a training of Tai Chi Rod with Professor Yulin Wang of the 'Chinese Health Qigong Association'. 2012 - Tunde had a training of 12 Method of Healing Chi with Professor Yulin Wang of the 'Chinese Health Qigong Association'. 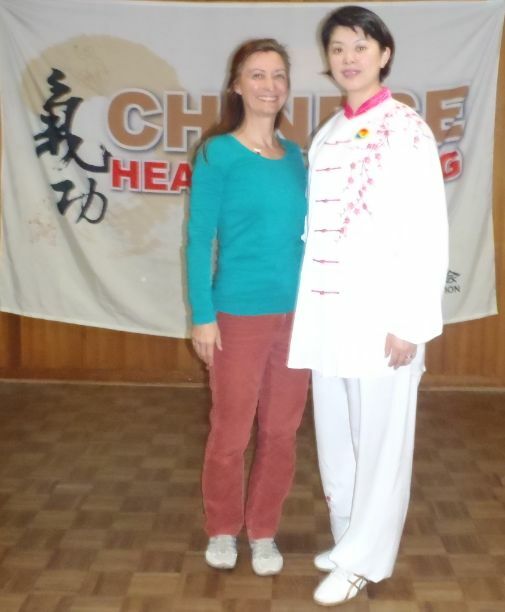 2010 - She is became a Tai Chi & Qigong student of Master Susan Chang - founder of the 'Tai Chi Fitness Australia School'. Master Susan was trained by Master Wang Ruizhi and Grand Master Feng Zhiqiang(1928-2012). Both Wang and Feng are deciples of Grand Master Chen Fake. Chen Fake(1887-1957 Chen Style) and Yang Luchan(1799-1872 Yang style) are both disciples of Chen Changxing(1771-1853) - descendant of Chen Wangting(1580-1660) - believed by family to be the founder of Chen style. 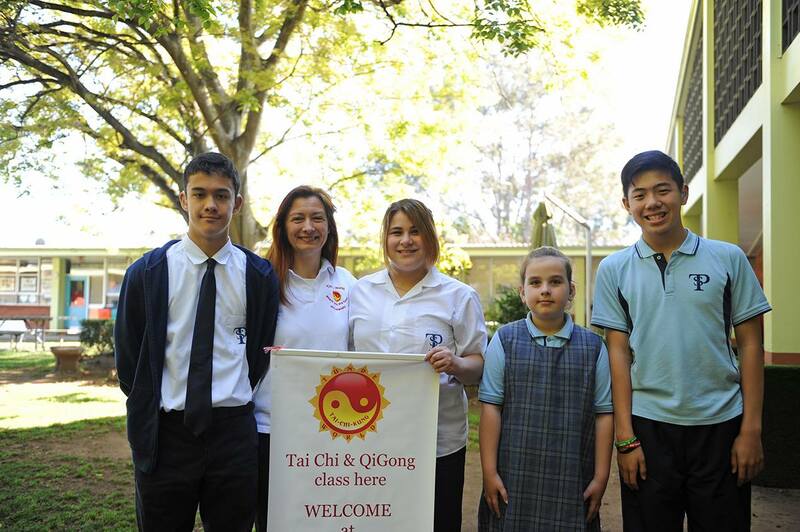 2014 - Tai Chi Fitness Australia - touch Tai chi and Qigong.